Feed the Future (FtF) seeks to reduce poverty and undernutrition in 19 developing countries by focusing on accelerating growth of the agricultural sector, addressing the root causes of undernutrition, and reducing gender inequality. This dataset captures data in the geographic areas within Tajikistan known as Zones of Influence (ZOI) targeted by FtF interventions. 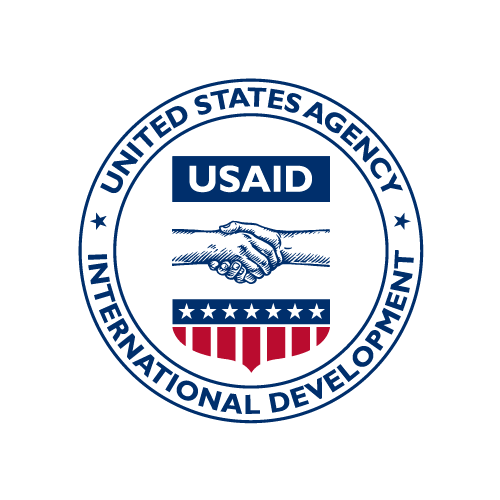 These data cover the Tajikistan FtF population-based survey )PBS) and secondary sources that serve as the baseline values for the U.S. Government's FtF initiative led by USAID. The baseline survey in Tajikistan captures data in the Feed the Future Zones of Influence (ZOI), comprised of 12 of the 24 districts in Khatlon province. A total of 2,000 households in the ZOI were surveyed for the PBS data collection activity. These households are spread across 100 standard enumeration areas in the targeted districts. The survey is comprised of ten CSV files: a children's file, a household-level file, a household member level file, a women's file, several files describing consumption, and two files used to construct the Women's Empowerment in Agriculture Index. This dataset contains data from sub-Module E1: Food Consumption over the Past 7 Days. The baseline survey in Tajikistan captures data in the Feed the Future Zones of Influence (ZOI), comprised of 12 of the 24 districts in Khatlon province. A total of 2,000 households in the ZOI were surveyed for the PBS data collection activity. These households are spread across 100 standard enumeration areas in the targeted districts. The survey is comprised of ten CSV files: a children's file, a household-level file, a household member level file, a women's file, several files describing consumption, and two files used to construct the Women's Empowerment in Agriculture Index. This file reports survey results related to children. The baseline survey in Tajikistan captures data in the Feed the Future Zones of Influence (ZOI), comprised of 12 of the 24 districts in Khatlon province. A total of 2,000 households in the ZOI were surveyed for the PBS data collection activity. These households are spread across 100 standard enumeration areas in the targeted districts. The survey is comprised of ten CSV files: a children's file, a household-level file, a household member level file, a women's file, several files describing consumption, and two files used to construct the Women's Empowerment in Agriculture Index. This file reports household level data from the Women's Empowerment in Agriculture Index (WEAI). The WEAI measures the empowerment, agency, and inclusion of women in the agriculture sector in an effort to identify and address the constraints that limit women’s full engagement in the agriculture sector. The baseline survey in Tajikistan captures data in the Feed the Future Zones of Influence (ZOI), comprised of 12 of the 24 districts in Khatlon province. A total of 2,000 households in the ZOI were surveyed for the PBS data collection activity. These households are spread across 100 standard enumeration areas in the targeted districts. The survey is comprised of ten CSV files: a children's file, a household-level file, a household member level file, a women's file, several files describing consumption, and two files used to construct the Women's Empowerment in Agriculture Index. This file reports survey results related to household members. The baseline survey in Tajikistan captures data in the Feed the Future Zones of Influence (ZOI), comprised of 12 of the 24 districts in Khatlon province. A total of 2,000 households in the ZOI were surveyed for the PBS data collection activity. These households are spread across 100 standard enumeration areas in the targeted districts. The survey is comprised of ten CSV files: a children's file, a household-level file, a household member level file, a women's file, several files describing consumption, and two files used to construct the Women's Empowerment in Agriculture Index. This dataset contains data from sub-Module E7: Durable Goods Expenditures. The baseline survey in Tajikistan captures data in the Feed the Future Zones of Influence (ZOI), comprised of 12 of the 24 districts in Khatlon province. A total of 2,000 households in the ZOI were surveyed for the PBS data collection activity. These households are spread across 100 standard enumeration areas in the targeted districts. The survey is comprised of ten CSV files: a children's file, a household-level file, a household member level file, a women's file, several files describing consumption, and two files used to construct the Women's Empowerment in Agriculture Index. This file reports survey results related to households. The baseline survey in Tajikistan captures data in the Feed the Future Zones of Influence (ZOI), comprised of 12 of the 24 districts in Khatlon province. A total of 2,000 households in the ZOI were surveyed for the PBS data collection activity. These households are spread across 100 standard enumeration areas in the targeted districts. The survey is comprised of ten CSV files: a children's file, a household-level file, a household member level file, a women's file, several files describing consumption, and two files used to construct the Women's Empowerment in Agriculture Index. This dataset contains variables from Module E, the Household Consumption Expenditures module used to calculate poverty and expenditure indicators. The baseline survey in Tajikistan captures data in the Feed the Future Zones of Influence (ZOI), comprised of 12 of the 24 districts in Khatlon province. A total of 2,000 households in the ZOI were surveyed for the PBS data collection activity. These households are spread across 100 standard enumeration areas in the targeted districts. The survey is comprised of ten CSV files: a children's file, a household-level file, a household member level file, a women's file, several files describing consumption, and two files used to construct the Women's Empowerment in Agriculture Index. This dataset is the first of two datasets needed to calculate the WEAI-related measures. It contains Module G data from the primary adult (18+) female decisionmaker within each household (for the sub-sample of households with a primary adult female decisionmaker).